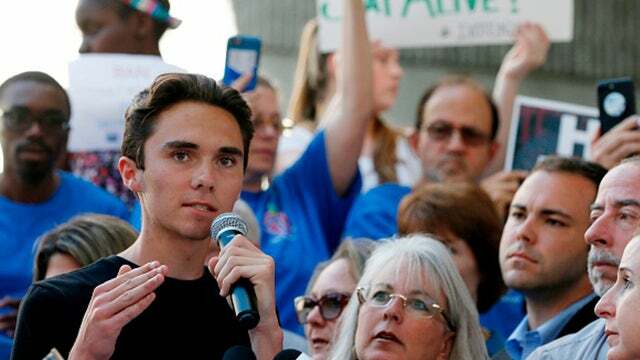 RUSH: By the way, 17-year-old student, David Hogg is his name, I read that he is pondering going into journalism or politics. And I’m thinking, “Son, don’t waste time going to school. There is not a network out there that wouldn’t hire you today and give you your first journalism award after one week, just like they did Ronan Farrow.” He doesn’t need to go the rest of high school, well, finish high school, couple months, get the diploma, but screw college, you don’t need to do that. Waste four years? No way. Just go straight to ABC, CBS, NBC, maybe work for all of them on a rotation basis and join 60 Minutes, 20/20, ABC Primetime, whatever they have, just saturate. Why waste time going to college? You don’t need to go to college to learn to be a journalist. All you have to do to be a journalist is oppose Republicans on everything. That’s it. It’s not much more complicated than that. You don’t have learn about who, what, when, where, why, because it’s not about that anymore. You don’t need to learn about fact. You don’t need to learn about the supposed backbone identification concepts of journalism, ’cause they don’t apply anymore. You look good on TV, and you can espouse effective dislike and criticism of Republicans and conservatives, and you are gold.